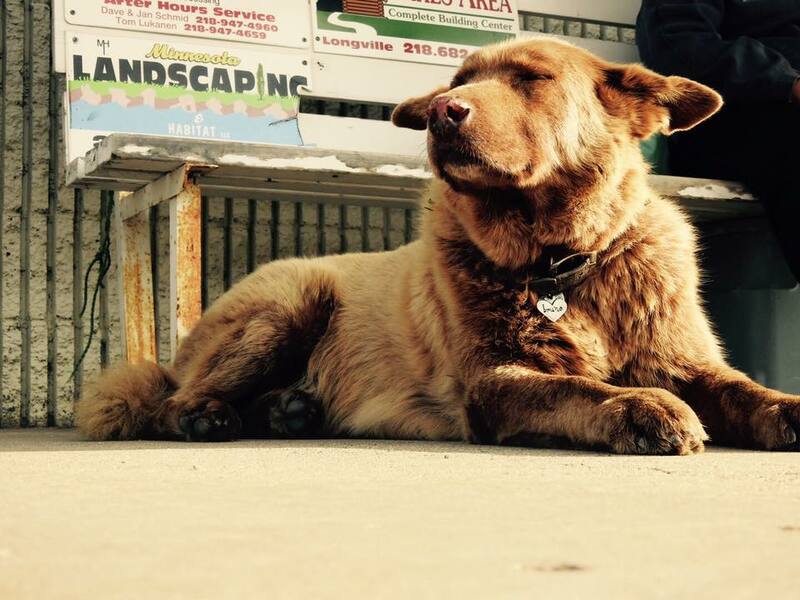 A dog has become a legend in Longville, Minnesota; one resident even calls him the town's "goodwill ambassador." For the past 12 years, Bruno has reportedly walked about four miles from his house to Longville nearly every day no matter the weather outside. The Chesapeake-Labrador mix became a part of the LaVallee family after someone found him abandoned as a puppy by their driveway. Bruno's trips into the town began when he would follow the trash pickup truck that Larry LaVallee drove into Longville, notes KARE. Since then, the dog has continued his commute with a fairly regular route which includes the grocery store, city hall, and ice cream shop among his stops before eventually returning home. According to Oddity Central, the owners "...had tried to keep him home by chaining him, but he almost hanged himself trying to break free, so they just let him do his thing." Bruno has become so well known in the town that a wooden sculpture of him was funded through donations and installed in a local park last year.